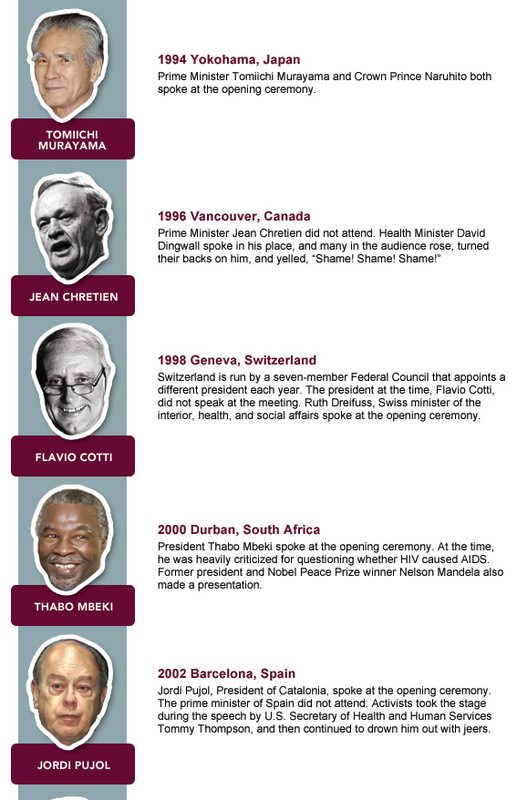 International AIDS Conference: Who showed up, who skipped town, and who got heckled? The state of the universe. 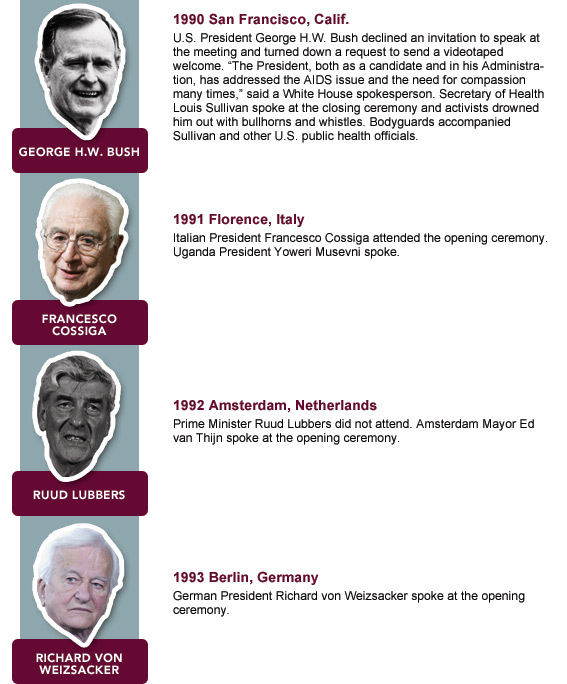 Who showed up to and who snubbed one of the strangest but most important scientific meetings? Also in Slate, why President Obama should attend this year's conference. A protester and his elephant at the 2004 International AIDS Conference in Bangkok. The International AIDS Conference has returned to the United States for the first time in 22 years in recognition of President Obama’s HIV/AIDS policies. 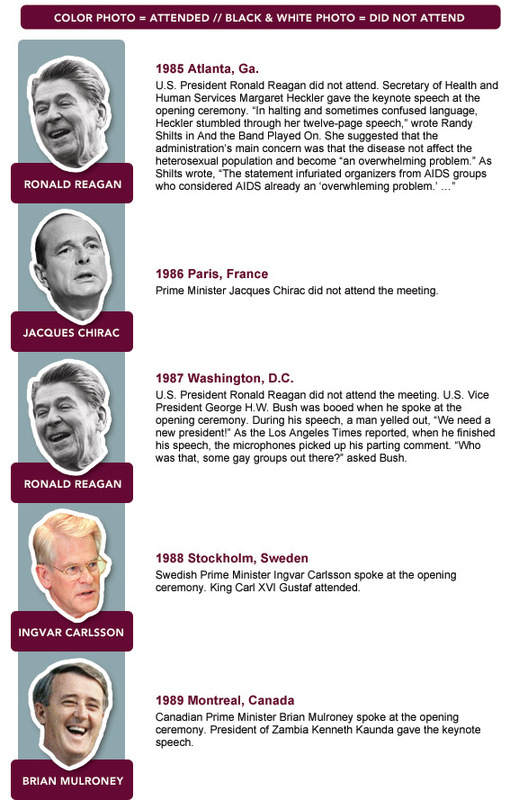 Many world leaders have addressed the meeting in person (those in color images, below), while others have not (in black and white). Obama is not attending in person, which may be taken as a snub. Will his video address be greeted with shouts of “Shame! Shame! Shame!”? 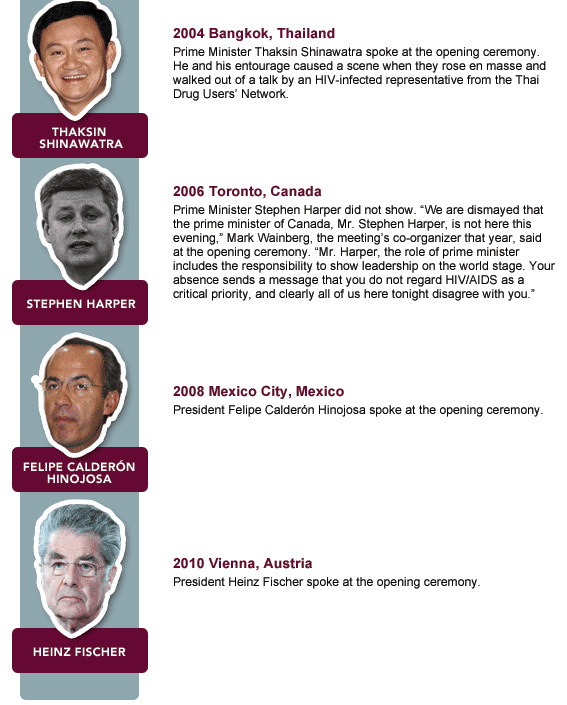 Correction, July 20, 2012: This article originally misidentified Thaksin Shinawatra as the president of Thailand. He was the prime minister. Jon Cohen writes for Science magazine and has published four books, including his latest, Tomorrow Is a Long Time. Follow him on Twitter. Andrew Morgan is a Slate designer.